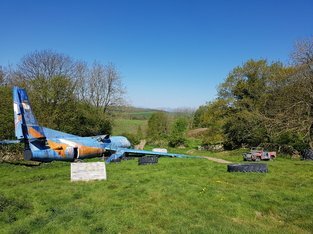 Imagine the adrenalin rush of bursting out of our full size Jet Plane onto the war zone and fighting your way through the field to capture the radar station and decode the tower to gain victory. After both teams have challenged this you will move onto a village with guns from all angles. Your aim is to take over the heavily guarded village. These games are a build up to your grand finale of last man standing which is excellent for revenge on your stag and best man. Then bursting into a full scale shoot out. Every person must stand alone and defend his/her self to the bitter end. All games are briefed and marshalled by fully qualified instructors. 200 paintballs included and all safety gear needed supplied at NO extra cost. Paintballs thereafter are £5.00 per 100 or £75.00 for a box of 2000.